When Will North Korea Conduct Its Next Nuclear Test? Analysts speculate North Korea could conduct a test as soon as May — or not at all. Uncertainty over whether North Korea is about to conduct its fourth nuclear test is causing confusion in South Korea as the media and the government voice different outlooks. South Korean daily Segye Ilbo reported on February 26 that North Korea is expected to conduct its fourth nuclear test in May, quoting an unnamed government source, while South Korea’s Ministry of National Defense announced on the same day that there is no sign North Korea is preparing for a test. An unnamed government source told Segye Ilbo that relevant authorities from South Korea and the United States have seen signs of North Korea preparing for a nuclear test in May. The source added the U.S. has been continuing under-the-table work to stop the test. Segye Ilbo noted that indications of an impending test come along with other recent movements from North Korea escalating military tensions on the peninsula. North Korean leader Kim Jong-un has visited military camps ten times since November last year, and the North Korean Army’s training has been unusually intense. It was reported that the frequency of training has witnessed a twentyfold increase compared to the previous year. Meanwhile, Kim Min-seok, a spokesman for South Korea’s Ministry of Defense, said in a briefing that the no sign of North Korean preparation for a nuclear test has been spotted. Kim added that there is little chance of a fourth test because of increasing international pressure on North Korea. Many reports have claimed that North Korea has recently been increasing experiments to improve its missile technology and miniaturize nuclear warheads. Kookmin Ilbo reported, quoting an unnamed government source, that North Korea is currently implementing missile tests in Pyongyang’s Yongduk area in order to achieve smaller-sized high explosive missile. If North Korea conducts a fourth nuclear test, the scale and power might be stronger than that of its previous test. South Korean authorities think the nuclear yield would be over 10 kiltons this time, the source added. (A one kiloton explosion is the equivalent of 1,000 metric tons of TNT). In North Korea’s first nuclear test in 2006, it showed below 1 kt nuclear yield while its second test in 2009 measured around 3 kt. In the latest test in 2013, the nuclear yield was estimated at about 6 kt. The source added that North Korea has been increasing its stockpiles of plutonium and highly enriched uranium (HEU), which are the materials for nuclear weapons. The South Korean government estimated that North Korea held about 40 kg of plutonium in 2014, but the source said the government data might be incorrect since it is almost impossible to estimate how much plutonium and HEU North Korea is currently holding. 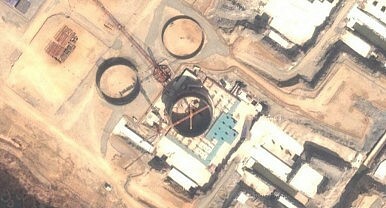 It’s estimated that North Korea has been running about 2,000 centrifuges since 2010, producing 40 kg of HEU annually. Experts anticipate that North Korea could conduct its fourth nuclear test in the second half of this year, with the 70th anniversary of establishment of the Worker’s Party coming up in October. Ahn Chan-il, the director of the World North Korea Research Center, said in an interview with Voice of America that Kim Jong-un’s expected visit to Russia in May is another reason why North Korea would implement the test in the latter half of the year.